The two branches of the state legislature each made the tiniest of moves toward financial transparency on Thursday. The Senate’s was almost devoid of meaning, while the House took a brief sidestep on the long and winding road to full disclosure. First, the House. 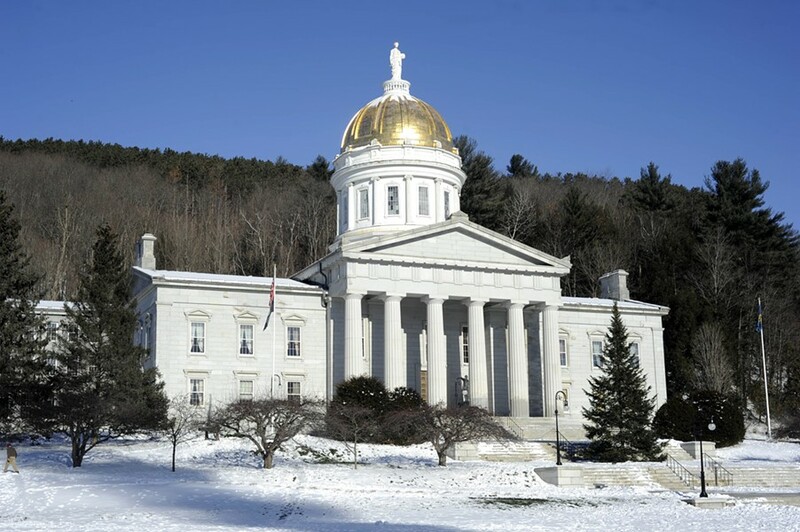 In a session expected to be brief and painless, lawmakers heard first readings of a number of bills and then took up House Resolution 6, which would make minor changes to existing financial disclosure procedure. Currently, state representatives’ disclosure forms are only available in person at the House Clerk’s office; H.R. 6 calls for the forms to be posted online. It had unanimously passed the House Rules Committee, and was expected to sail through. But lawmakers are very particular about disclosure rules applying to themselves, and a flurry of questions ensued. Business came to a halt as House leaders amended the disclosure form on the fly. The new form will be distributed on Tuesday. Each representative will have to disclose membership on any board, commission, or entity that is regulated by state law or receives funding from the state. “If you’re on your church’s committee or whatever, we don’t need to know that,” Johnson explained. And to satisfy the security concerns of members, the signature line will be on the back of the form. Only the front will be posted online. Over in the Senate, Thursday was a red-letter day — well, make that a barely visible washed-out pink day — for financial transparency. 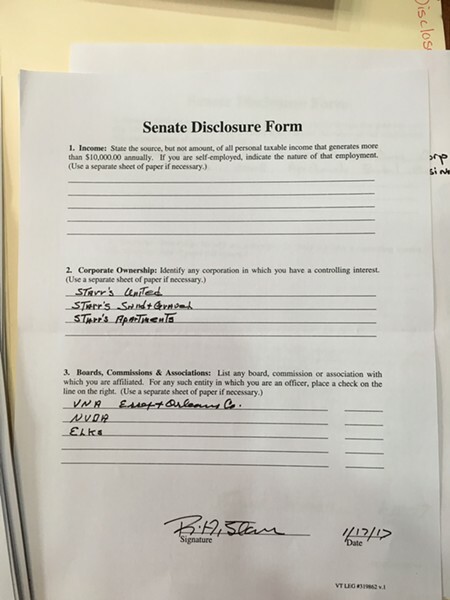 This biennium, for the first time, senators have to fill out a disclosure form. Sen. Bobby Starr's financial disclosure form. And what a form it is. There are three questions covering little more than half a page. The first asks for sources of personal income over $10,000. Each senator need only provide the name of the payer/s, not the amounts. Any investment income is simply listed as “investments” with no description of holdings or amount of earnings. In short, whether you take $10,000 out of a retirement account or you own 10,000 shares of Google stock, you simply write “investments” and you’re in compliance. If you make $11 an hour as a clerk in a chain store or $1.1 million as an executive of the chain, you simply disclose the name of the firm. Nothing more. The second question requires disclosure of any controlling interest in a business. But again, one only need disclose the name of the business, not the amount of profit. The third question asks for any memberships on boards, committees or associations. The latter makes for some amusing moments, albeit tinged with sad irony. You can’t find out how much money Sen. Dustin Degree (R-Franklin) made from his political consultancy or who his clients were, but you can find out that Sen. Brian Collamore (R-Rutland) is president of the Vermont chapter of the National Ice Hockey Officials Association, Sen. Mark MacDonald (D-Orange) is on the Vermont Veterans’ Memorial Cemetery Advisory Board, Sen. Ann Cummings (D-Washington) is owner of Core Designs “craft and antique sales,” and Sen. Bobby Starr (D-Essex/Orleans) is a member of the Elks Club. These forms are so red-hot, so radioactive in their content, that they can only be accessed in the Senate Secretary’s office. And you’ll have to fill out the sign-in sheet before you can receive the magic manila folder containing this precious trove of transparency. It’s understandable that lawmakers don’t want to spread their financial details around. But c’mon, the purpose of financial disclosure is to reveal (and hopefully prevent) conflicts of interest. Both chambers are failing to do the job. And thus, they are failing the legitimate interests of their constituents. *Correction, January 20, 2017: An earlier version of this story misstated the amount of information House members are required to disclose.